I watched Clint Eastwood’s “Hereafter” during an eleven-hour flight from Amsterdam to Los Angeles after I read the news about the movie being pulled from the Japanese cinemas. Although considered as inappropriate for Japanby Warner Bros, the tsunami scenes in the beginning are a strong reason for Americans or Europeans to see it. 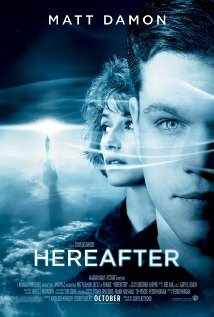 The film unveils the story of a woman, a boy and a man, all being connected by the afterlife. Marie Laley (Cecile de France), a French TV anchor, survived the tsunami wave that hit South Asia in 2005, but the backslashes impact on her career and love relationship.